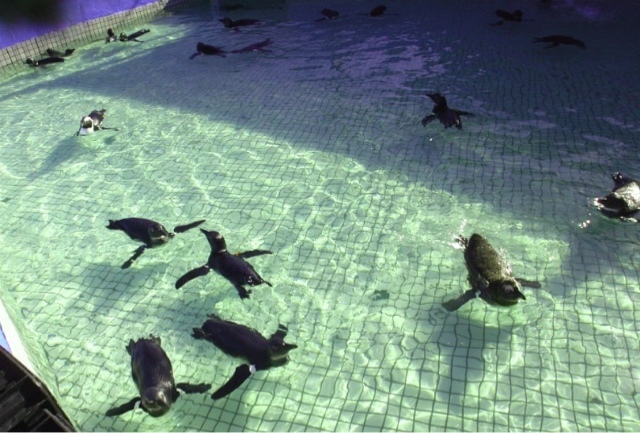 A new day at SANCCOB and another new task awaited Paul and I as we walked through the doors. He headed off to work with the more critical patients while I headed to a familiar spot to Paul: Pen 2! Cute face but sharp beak! 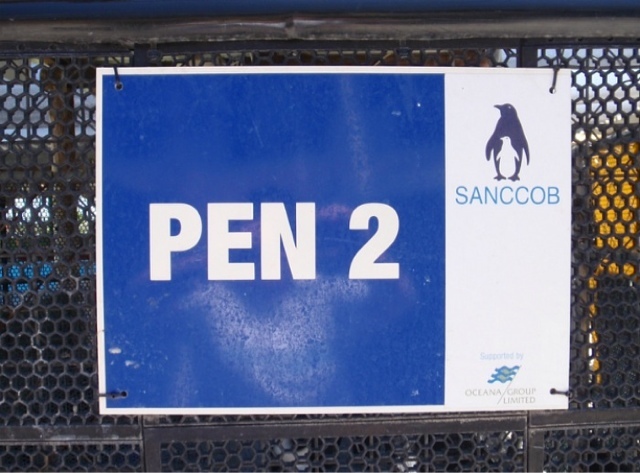 The penguins that come to SANCCOB are organized into different holding pens depending on their age and condition: the younger chicks are in one area, those that need constant medical care are in another. Holding pen location number 2 (or Pen 2 for short) holds those birds that are out of the woods for the most part, swimming (even if it is for a short time) and are on their way to recovery. But that doesn’t mean it’s easier to take of them. Lots of work is still involved! 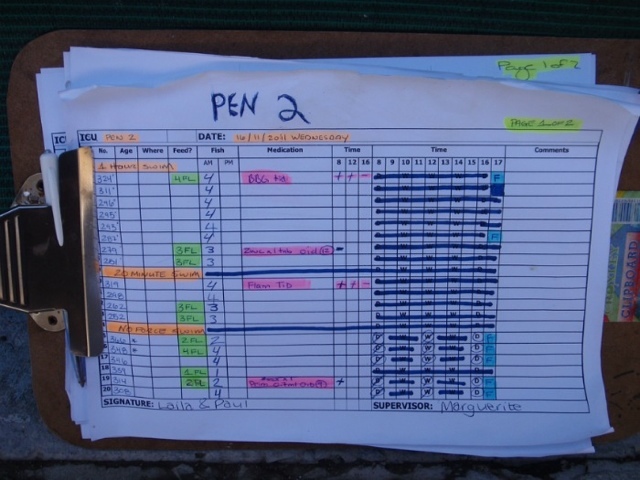 As Paul mentioned in an earlier post, each penguin (and there were 21 penguins in this pen today) has a daily regiment of fish, formula, medications, swim times and other items that all work together to form the recovery plan for each individual bird. As you can imagine, with 21 birds it’s A LOT of things to remember! That includes 3 swim times, 2 feeding times, formula time, 3 medication times and more! Thank goodness there is a data sheet for each today (like we have at the Aquarium), allowing the staff and volunteers to track what has been done already. However, to read it you need to learn a foreign language—every item has an abbreviation or color associated with it. It took a while to learn how to read the data sheet, but I think I got it down today! 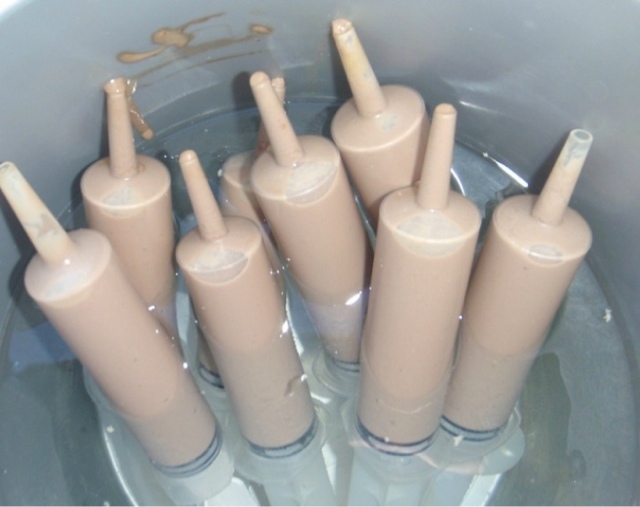 A major part of this daily regiment is catching each individual bird and delivering them to the staff person or volunteer who is administering the different treatments and feedings. As it was my first day handling birds, it was a crash course in how to pick up a squirming five pounds of muscle with a VERY sharp beak and hand it off safely to another person (or into the swimming pool). At this point, I would like to remind all of you that while penguins are cute, they are NOT cuddly animals. They will not hesitate to bite you, and boy did I get bitten today and have the bruises to prove it. As with anything, handling the birds got easier with practice but it is not a job for the faint of heart! 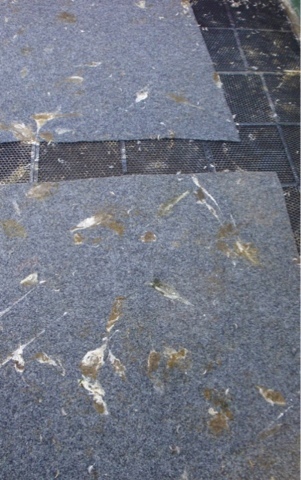 In addition to learning how to handle the birds properly, it was a day filled with cleaning guano filled mats. Overall, today was a good day. I got to hang out with some very cool (but not cuddly) animals knowing that many of them won’t be at SANCCOB someday and will be headed back out to the ocean. I learned an incredible amount-how to handle birds, set up the pens, interpret the data sheets, which birds go for longer swims, how to apply topical medications and a huge amount more. 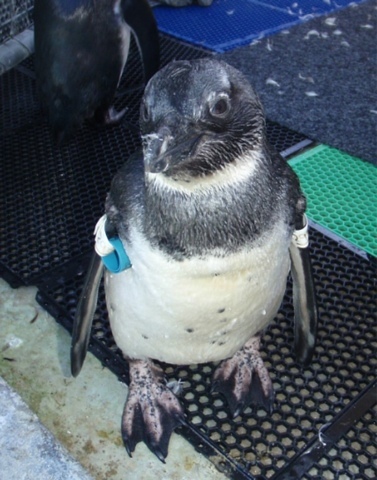 I even got pooped on a bunch, a pretty common occurrence while handling penguins. So it was a good day working with good people doing good work to help a pretty cool group of animals. Not bad…minus the bruises! Thanks for the day, fellas! Learn more about the adventures of Jo's co-worker, Paul! 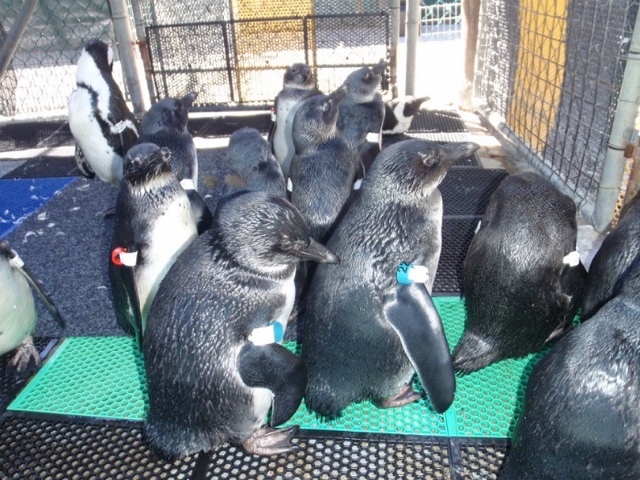 Aquarium penguin biologist Paul Leonard is also in South Africa to study and care for African penguins in the Southern Hemisphere! Read about his experience on the Penguin Blog.